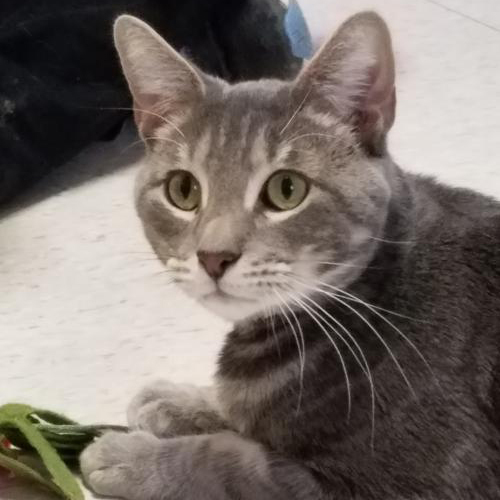 Ghost is a handsome 3 year old grey tabby who has striking grey, white and almost silvery markings, offset by translucent green eyes. But there is nothing spooky about this kitty! He has tons of energy and loves to play. He enjoys pets and being picked up, and would love to chase a string toy in his new home! Come visit Ghost and see if he’s the one for you!